Entheogenic Liberation is the definitive work on 5-MeO-DMT and its applicability to genuine enlightenment and freedom from the illusory prison of the ego. 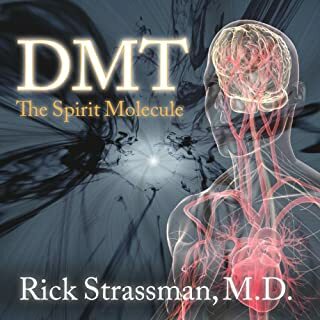 With wisdom and guidance culled from years of direct therapeutic work, this audiobook lays out precise and detailed instructions and methodologies for working with the world's most powerful entheogenic medicine for the purpose of achieving liberation into the fundamental unitary state of being. More and more people from all walks of life and spiritual and religious backgrounds feel drawn to ayahuasca in often surprising ways. 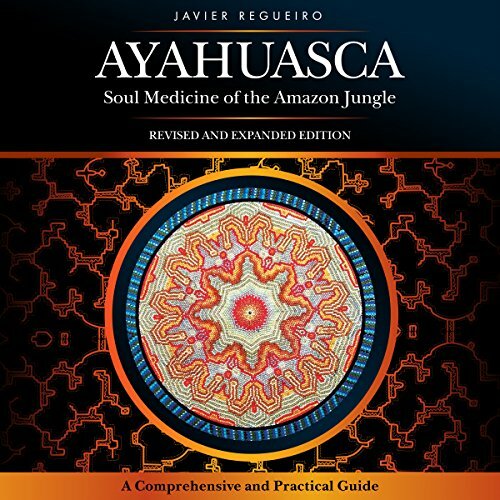 In this revised and expanded edition of Ayahuasca: Soul Medicine of the Amazon Jungle, author Javier Regueiro offers a guide for those new to the use of this powerful medicine that originates in the Amazon rainforest. Addressed to the ever-increasing number of people who approach this medicine for their own personal healing and development, this guidebook provides clear and practical advice on how to use this therapeutic modality in a fashion that is meaningful to modern people for a maximum of benefit. 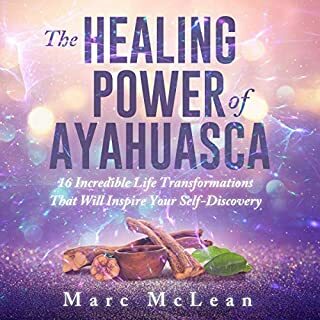 The author shares many pieces of information that would be very helpful for anyone preparing to try ayahuasca. 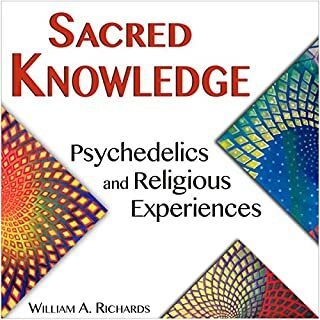 After finishing this book, I truly feel ready for my first Ayahuasca experience that will be coming up in a few weeks. 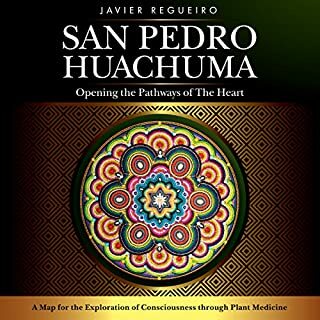 Just a few days before I will join an "Ayahuasca" session I listened to this audio book. 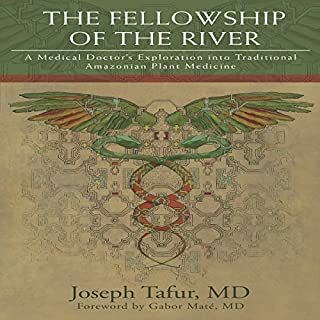 It was perfect in time as listening through that book you get more respectful about the power of plant medicine, I started to review and resettle my expectation and being more humble now. So i might return to my review of that audio book and add a few lines. This was a great book and I was so excited to find since the universe brought Aya to me sooner than expected. I love that it's audio so I can listen to it over and over to prepare my mind for the journey ahead. A very thorough description of Ayahuasca experience , pros and cons which gave me so much information that I decided not to try it. If you can get past the authors accent heavy monotone croon, there’s lots of important info, especially for first timers. A few times I had to rewind because his voice lulled me into thinking of other things, but the content here makes the book indispensable. Highly recommended. The knowledge and experiences shared bring much joy and understanding to my soul! I recommend this book to anyone looking for deeper answers. A fantastic overview and starter guide to anyone interested in taking part in an Ayahuasca ceremony. This is a balanced and thorough orientation, useful for anyone contemplating a Medicine ceremony. The author is an experienced and articulate shaman with broad experiences & I found his content useful & trustworthy. I enjoyed this book and I will listen to ot again! I would like details on how so called African American's have responded to their experiences and their overall view, of their current oppression, after the ayahuasca ceremonies!!!! Also information on shamans role in times of war!! Do shamans have offences and defenses in time of oppression and war?? Having never taken Ayahuasca, and then looking to book a ceremony, this book had some valuable information in regards to dietary recommendation, what to expect and how to prepare for a ceremony. I then took all the advice and found the experience to be one that I will never ever forget. If I had not listened to this, then the apprehension and possible unknowing, might have altered the overall great experience. For me personally, to have some insight is always good. 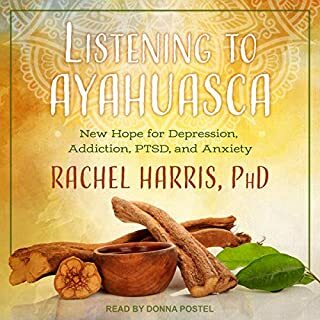 Excellent audiobook, essential for anybody considering taking Ayahuasca or who has an deep interest in the experience, culture and etiquette that surrounds it. This is one book that could not have been read satisfactorily by anyone but the author, lest it lose authenticity and immediacy. My only criticism is that several times during the narration sentences are repeated and this is distracting. Truly wonderful and insightful book. This book will answers so many questions for those who are thinking of trying this medicine and even more for those who have. I froze for a while when Javier described a moment where he was greeted by countless Buddha's and one central Buddha, seeing this as a moment of acceptance as I too had the exact same experience on a journey. Thanks Javier for this book as I now have a what feels like a tool I can refer to when looking for those unanswered questions. What would have made Ayahuasca: Soul Medicine of the Amazon Jungle better? I'm so disappointed in this audiobook - the author is very confused and talks boringly. Don't bother buying it. Has Ayahuasca: Soul Medicine of the Amazon Jungle put you off other books in this genre? Would you be willing to try another one of Javier Regueiro’s performances? If you could play editor, what scene or scenes would you have cut from Ayahuasca: Soul Medicine of the Amazon Jungle? Instead read "Five weeks in the Amazon" by Sean Michael Hayes, it's a really good book (at least the Kindle version) Sean is open and honest.